Upcoming Events - We are looking forward to four Practical On-The-Water Seminar weekend and weekend events planned in the Stony Point, NY area May 24th, Ossining, NY, June 7th, City Island,NY, June 14th and Forked River, NJ June 22. We will also be training students enrolled in Inland Navigator (IN) or Coastal Navigator (CN) programs. Click here for details. 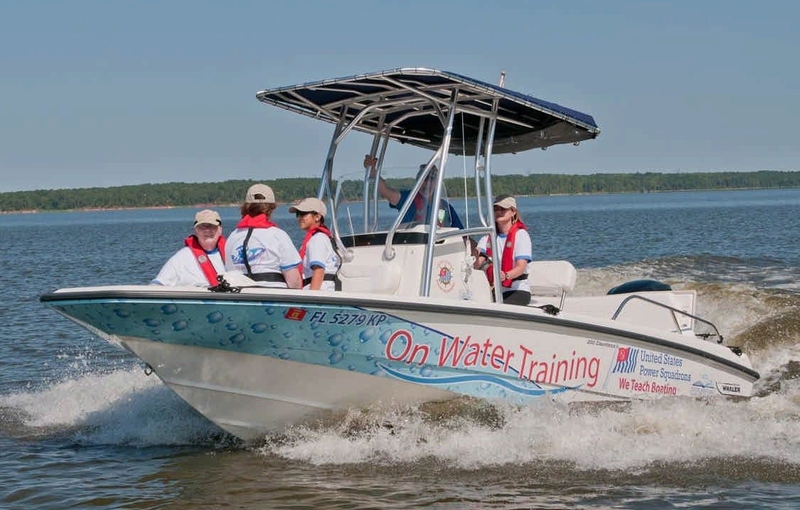 Practical On-The-Water Seminar –This program combines elements of our Advanced Powerboat Handling Seminar with student hands- on water program into one-day, introductory training. The intention of POTW is to instruct both on land and on the water new, slightly experienced, and experienced boaters proper ways to handle a powerboat. The classroom portions of the program will be presented by traditional experienced USPS instructors. The on water portions of the program require USPS Certifiers specifically trained to conduct the POTW program. Satisfactory demonstration of these skills by USPS Members in POTW will suffice for the IN BPH requirement. Inland Navigator or Coastal Navigator Boat Operator Certifications – USPS has skill demonstrations imbedded within each of the four levels of Boat Operator Certification. These are demonstration activities with a minimum amount of coaching intended. It is expected that those being certified have learned their skills in other courses and experience. The skill demonstrations will follow strict protocols to assure uniformity of our certifications. Interested USPS Members should request a Passport from their SEO. With the Boat Operator's Certification Program, USPS will certify USPS members at various levels of recreational boating proficiency. We expect that these certifications will be recognized across the boating community, both domestically and internationally. In the United States, The United States Coast Guard (USCG) has asked congress to authorize the Transportation Secretary to establish requirements for standards of proficiency for recreational boaters. We intend to have USPS certification accepted as the above proof and be accepted as the national certificate for the USA.